Regardless of what the occasion, Wedding, Corporate event, Birthday party, this team will deliver every time! Co-founder of Too Many Vices - When Paul started Too Many Vices, he would never have thought we would all still be here 7 years later. Going from playing local pubs to people's weddings, birthday parties and Christmas function nights. Paul is our lead singer and acoustic guitarist. Whether it be because he can hit those high notes in Maria (Blondie) or because he covers up the swear words in songs when his Mum comes to watch or his tame banter with the crowd - he'll always be the Too Many Vices front-man! 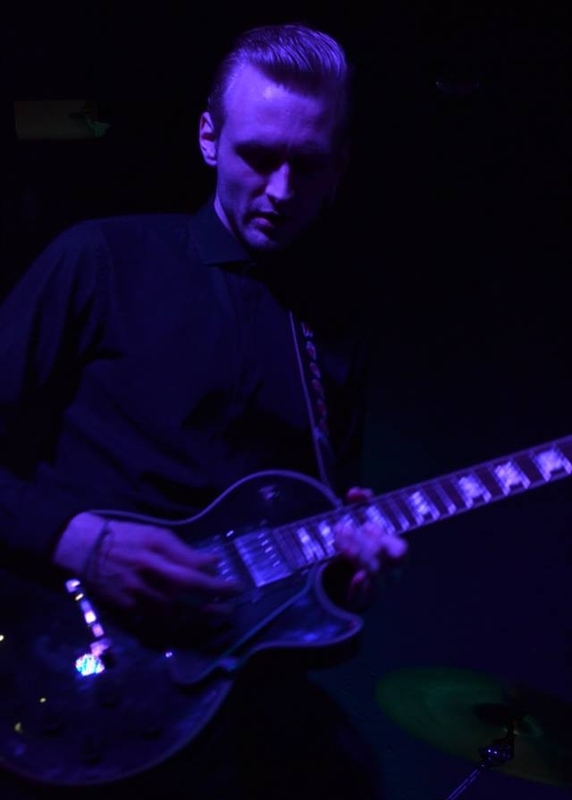 Co-founder - Simon is our Lead Guitarist and occasional backup vocalist. He is the oldest member of the band, though he's certainly not the most wise (but likes to think he is!). During the day he's a stressed Modern Studies teacher, by night, he's our answer to Keith Richards! Ross is our Bass player - he joined the band around 6 years ago, he is the longest serving after Paul and Simon. He is by far the most sarcastic bass player of all time, he is though, slightly forgetful (he forgot to bring his bass to a gig once!) We hope he is playing weddings with us for many more years to come. Adam is a jack of all trades as well as being our youngest member - He is our back-up bass player... and drummer... and he is currently studying in The Liverpool Institute for Performing Arts as a sound engineer. We can rely on Adam whenever we need some cover for Ross or Ryan. Rest assured, he is more than capable in all of those positions and it is most certainly not any less of a fantastic night even with an altered line-up. Michael Is our back-up guitarist & what an amazing guitarist he is. Outside of ourselves, he plays in a band known as the label. Like Adam, having Micheal in our lineup in no way compromises the quality or the sound of our performances, he's sensational. David is our Sound Engineer - he joined back in 2010 and has been providing all our PA equipment and technical know how ever since. If you've ever been to one of our gigs you'll definitely have seen him, he's walking around with an iPad pretending he is working! We'll get a picture of him doing just that (pretending to work) ASAP and update the rather stock looking image we have currently! Neil has joined the team just this year! He is the band's photographer - The vast majority of the images on this site were all taken by Neil. What can we say about his work, truly tremendous, a complete professional through and through. As well as a fantastically nice bloke. He can also be YOUR photographer for your special day, we will be recommending Neil with every enquiry. You can view more of his work on his new website. Daniel is our most recent recruit, a professional DJ who just loves to make people dance. If you're looking to hear some of the classics, no problem, if you want something with a club feel, Daniel can most certainly cater for that too. He really can push our 1200W subwoofers to the limit!